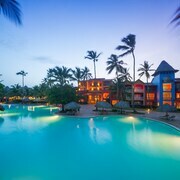 This family-friendly Punta Cana hotel is located by the ocean, within 1 mi (2 km) of White Sands Golf Course and Cortecito Beach. Arena Gorda Beach and Los Corales Beach are also within 3 mi (5 km). 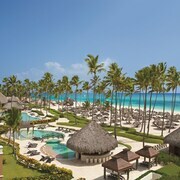 Nestled on the beach, this Punta Cana hotel is within 1 mi (2 km) of White Sands Golf Course and Arena Gorda Beach. Cortecito Beach and Iberostar Golf Course are also within 3 mi (5 km). 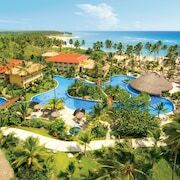 This all-inclusive resort is located in Punta Cana (Bávaro Beach), close to Punta Blanca Golf Course and White Sands Golf Course. Area attractions also include Cocotal Golf and Country Club. 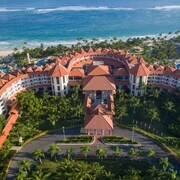 This Punta Cana property is on the beach, 5.6 mi (8.9 km) from Macao Beach, and within 12 mi (20 km) of Arena Gorda Beach and Hard Rock Golf Club at Cana Bay. 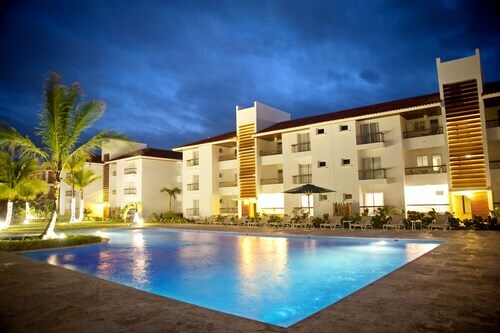 Iberostar Golf Course and Punta Blanca Golf Course are also within 12 mi (20 km). 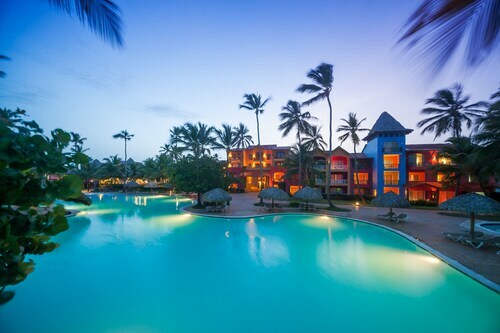 How Much is a Hotel Room in Punta Cana? 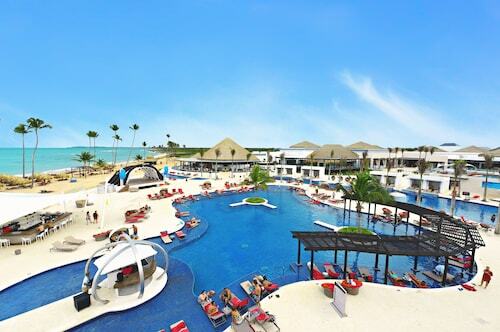 Hotels in Punta Cana start at C$58 per night. Prices and availability subject to change. Additional terms may apply. 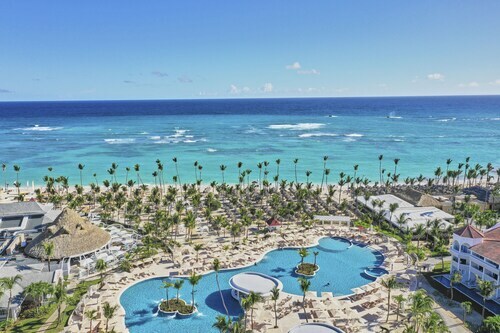 If you are planning a trip to Punta Cana in the Dominican Republic, the hotels in Punta Cana are ready and waiting to make it a memorable one. With pristine, white beaches and emerald Caribbean waters, this is one tropical getaway that will call your name long after you fly home! 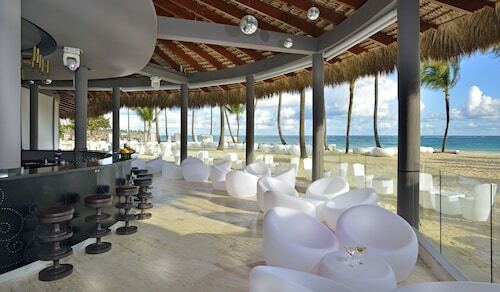 Vacations in Punta Cana are all about sunshine, seaside lounging, and delicious ocean foods. 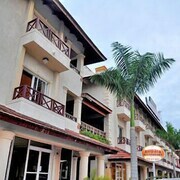 The main hub of activity for tourists on this tropical island is in the triangle between the Carratera Higuey-Miches and Highway 3, making it a good spot to look for Punta Cana hotels that aren't directly on the beach. The close proximity to two major highways also means it's a great spot if you plan on visiting the rest of the island or relocating to hotels in Santo Domingo during your vacation. 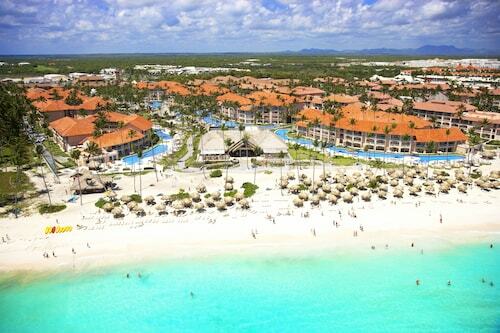 If you're a golf lover, be sure to check out the Punta Cana Resorts stretched out near Highway 105. Along with immediate access to gorgeous beaches, resorts in this area let you stay right next to the renowned Cocotal Golf and Country Club, and the Cana Bay Golf Course. Experience what some of the world's biggest golf names have come to love about Punta Cana, and tee off with the glittering waters of the sea in the background! 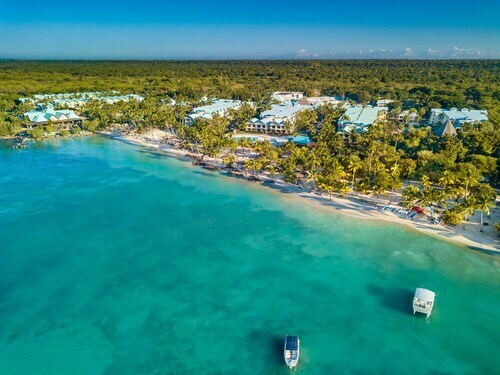 When you'd rather spend some time off the beaten path and away from the constant hustle and bustle of downtown Punta Cana, look for resorts in the Uvero Alto region. Hotels here are a bit more isolated and perfect if you are looking for endless afternoons with nothing but the quiet lapping of waves to keep you company. 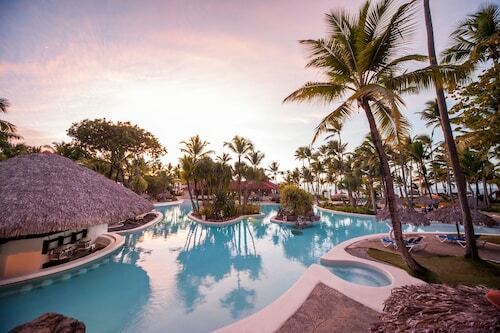 Once you have made the decision to visit the Dominican Republic, don't delay! 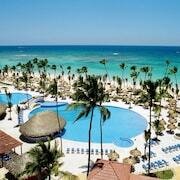 Book your Punta Cana hotel with Travelocity today! The property was well maintained and clean. While planning our trip we understood that the resort was family oriented. 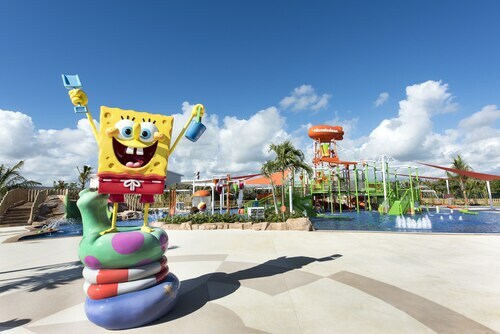 We thought the resort being a Nickelodeon resort might be overbearing. It was the total opposite. We enjoyed the activities and what was offered. We had fun at the pool as a family, and the water park while interacting with characters. Nelson our butler was so very helpful, he needs a raise. Staff was very pleasant and always asking how they could help. clean. Japanese cook could use a real Japanese cooking lesson. Will return and tell our friends to stay here. The property was good. The common areas were great (swimming pool, beach, restaurants, bars, front desk). The actual room needs an update.